There are so many types of bikes available in India. Some biking freaks know how to judge their biking interest regarding their riding style. Often it is seen that people modify their standard, commuter or sports bike into a dirt bike. Such modifications take a good amount of knowledge and expenses. As the bike has been modified and the things have been changed, the bike may not result favorable outputs and it will void the warranty as well. Such situations should be avoided, and one should purchase a factory made dirt bike. Now, what is a dirt bike? A dirt bike is used for mostly off road purposes. Because of this, dirt bikes have rugged looks and their taller height with which they are manufactured. A dirt bike is used for rough riding rather than high performance one. They also have heavy duty suspensions and very less amount of faring and damageable components. Some bikes are meant for core off road-ing while some are tuned to work over smooth and intractable surfaces. Here, the discussion will be carried upon 4 on and off road dirt bikes present in India. 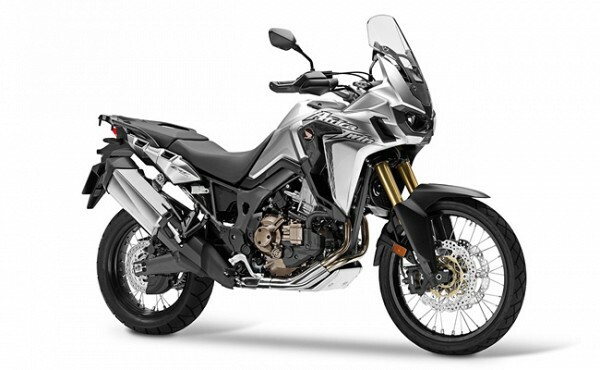 Honda Africa Twin is a flagship model in adventure motorcycle category from the Japanese bike maker. Packed with all the necessary off-roading components, Africa Twin is built on a robust frame with excellent dimensions and ergonomics. Apart from this, the powerful parallel twin motor with 6-speed dual clutch transmission offers seamless power flow at low and mid range torque to take on easily onto the rough and hilly terrain. It is a true performer in adventure touring and is a value for money motorcycle. Founded in 1995, the Chennai-based automaker, Royal Enfield, is one of the best cruiser bikes makers in the world. 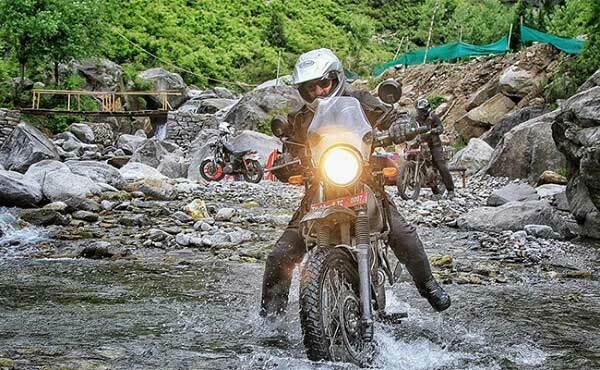 Its entire product lineup is packed with an array of cruiser motorcycles, but the auto major has placed one and only adventure tourer motorcycle, RE Himalayan in the lineup, in early last year. Stunning in looks, the purposely built adventure motorcycle sets on a newly built frame and equipped with a 410cc single cylinder, liquid cooled engine. The long travel suspension, bigger front wheel, high ground clearance, upswept exhaust and minimal front fender proves Himalayan a complete off-roader, with on roading capabilities. The Ducati Hypermotard is a complete package for those who wish to have a sports bike with an ability to deal with dirt. The appearance of this Ducati is so rich that it seems to be asking for a challenge to other contenders. Ducati bikes are meant for performance and this bike also follows the same sort of objects which are required to show off the presence till its last anapnea. The heavy performance delivered from its V-Twin engine is able to shift the complete enthusiasm from priest to beast. Here are the key terms of this bike. Triumph is one of the eldest motorbike manufacturers across the world. With a variety of products, the company introduced themselves in India few months back. The Triumph Tiger Explorer is an on road off road bike which has a hefty, robust and emphatic engine. The looks of this bike aren’t that impressive to match with the Ducati, but its performance will tend you to have a second thought for the bike. Engine’s thirst emphasis the rider’s pulse a lot to blow the barricades off the way. One can check for the following specs which this bike houses.